In today’s interior design practice, grey is treated as the base color that can be expanded by adding different elements and colors. Combining it with the pearl or ceramic white and swirls of glossy grey present in marble brings out a glamorous look that many designers employ. This glamorous grey look can be carried out with Terrazzo Precast. Toilet and Bath lather with gold – Adding a tinge of gold, either on the terrazzo precast grey color or to the details such as the faucet or shower heads accentuates and complements the grey perfectly. Other smaller details such as the door handles or the curtain rods can also be made in gold. These details will surely pop against the terrazzo tiles or marble. Kitchen beam with white – To complement with grey and marble in the kitchen, the ideal elements to incorporate are white ceramics and white furniture. This brings a neat finish which is always a plus for any kitchen. White connotes hygiene and cleanliness which rightfully represents the kitchen and food preparation areas of a home. Living room class with glass – To reinforce class and sophistication, glass fixtures are ideal elements to match grey Terrazzo Precast and marble flooring. It illuminates the room especially if windows are part of the design, allowing natural light to bounce of mirrors, and shine on the subtle grey and marble flooring. There are other approaches to glam up a space with Terrazzo precast. Consult Terrazzo Australian Marble for implementation solutions today. If you want to own a perfect terrazzo whether it is a flooring system or any pre cast terrazzo element you have to start by looking for a good and reputable and highly experienced company with the right approach with working on terrazzo and one that literally knows their way in the “ins and outs” and all around terrazzo production from start to finish and through the ultimate care and restoration needed through the years. Terrazzo Australian Marble Property Limited fits the bill to the hilt with more than 40 years of experience in the marble and terrazzo business, owning and operating five marble quarries in western New South Wales and a factory that manufactures its terrazzo pre cast elements with the most modern equipment such as tile presses, top of the line 5 axis CNC processing machines, CNC edge polishers and saws which enable the company to have the ability to produce terrazzo materials and elements of exacting standards. When deciding for the right floor choice to choose from between terrazzo and marble there are some features of terrazzo which surpass the qualities of marble. Marble is a great choice but terrazzo offers some options not readily appreciated against that from marble. Here are some five distinct qualities terrazzo outweighs marble as a flooring system. Terrazzo provides more colour options on the table. Terrazzo’s colour possibilities are limitless and its design capabilities are without compare. Terrazzo comes with a great selection of aggregates and finishes to match the colour and pattern that is desired by architects, interior designers and homeowners alike. On the other hand, marble is limited basically to its natural stone colour and shade. Terrazzo is thinner and stronger. Terrazzo is by far a stronger material than marble. 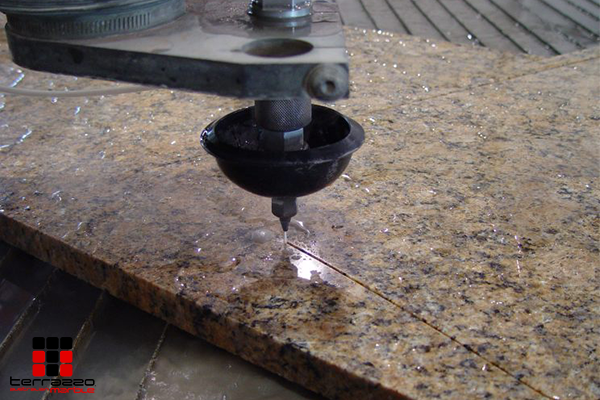 While marble tiles can range from 3/8″ to 1/2″ in thickness. Terrazzo can go as thin as 1/4″ making it the thinner material for designs. 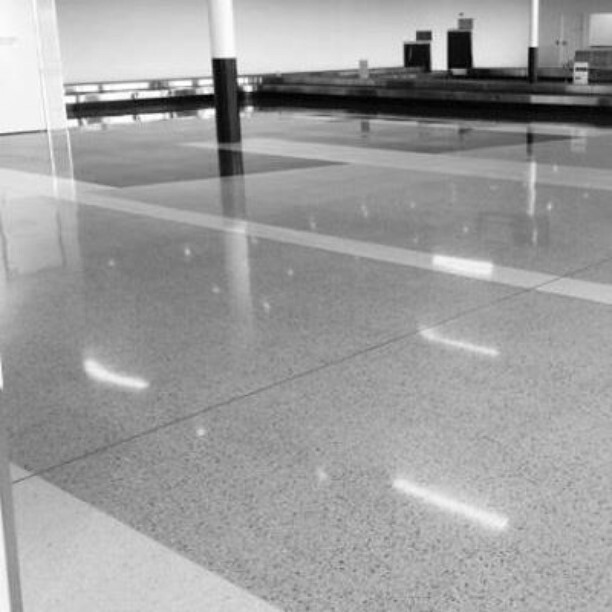 Due to its well accepted toughness, terrazzo can last up to 75 years with negligible repairs. With marble tiles, you worry about chipping at the edges. And, once it breaks, it is close to impossible to properly repair marble floorings. As a consequence of this, restoring marble floors is not cost effective. If your goal is to amaze and impress people use the beauty of terrazzo tiles, pre cast elements and other construction materials when you specify it in today’s homes, retail establishments, restaurants, shopping centers, specialty stores, railway stations, business offices or airports. Terrazzo affords that different kind of effect to your projects and intentions. Terrazzo designs that have been used in buildings and construction projects have been making heads turn and people notice its beauty whether it was designed simply or ostentatiously. Reason enough why renowned architects and well respected interior designers are seeing to it that the many exceptional possibilities which terrazzo offers to the building and construction business are maximized to the fullest! Terrazzo Australian Marble has perfected the art of designing and manufacturing functional terrazzo counter tops. Take your pick from a large variety of colored resin or marble aggregate blends to start off your beautiful journey to the unknown yet surprising intricacies of terrazzo elements. Allowing one to create a unique kind of countertop experience!